The Tennant M17 Rider Sweeper-Scrubber is a versatile battery machine that delivers exceptional sweeping and scrubbing performance. With the M17’s DFS™ (Dual Force Sweeping), you can capture large and small debris in just a single pass. Make cleaning fast and easy with up to 67 inches of cleaning width. 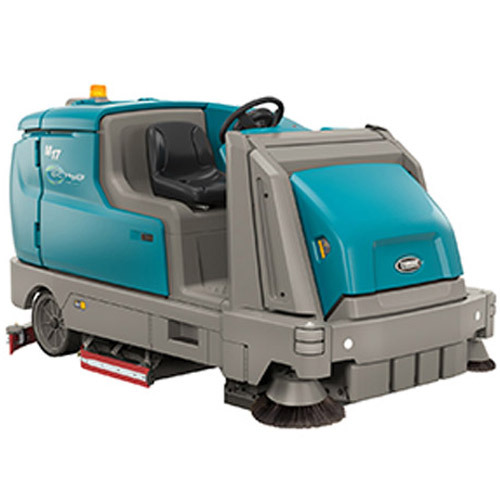 Also, this machine maintains indoor air quality with the exceptional two-stage dust control and fume-free battery operation. 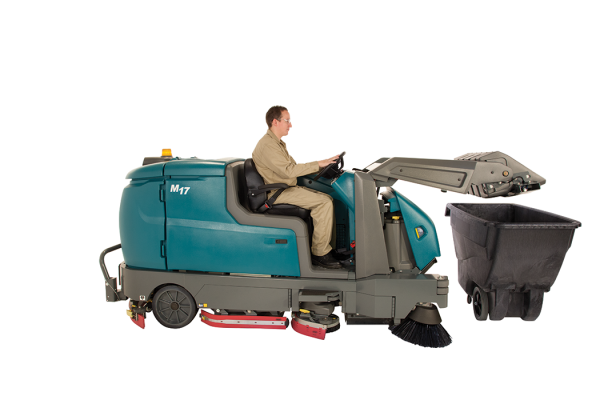 Eliminate time and money refilling water with the 115 gallon capacity solution tank. 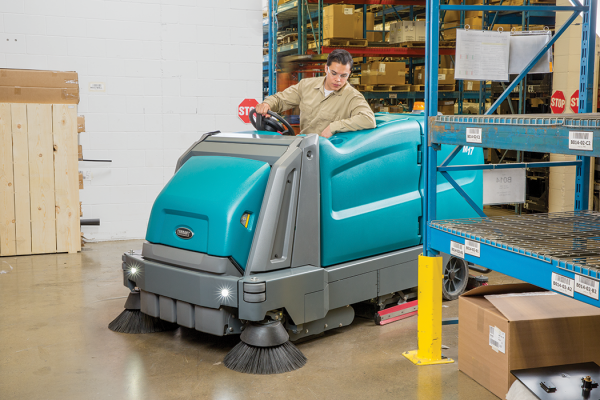 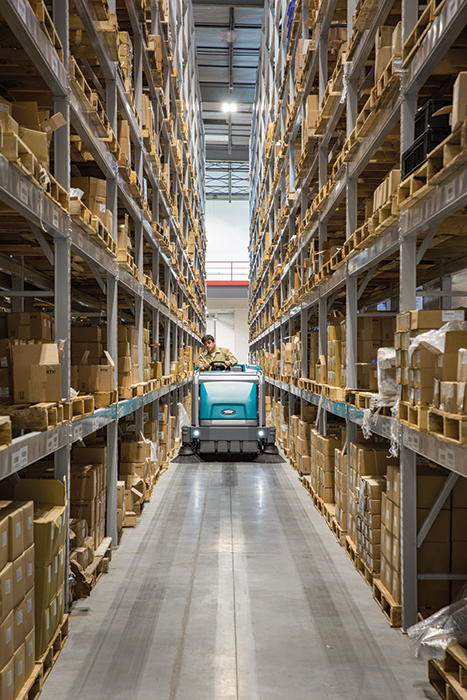 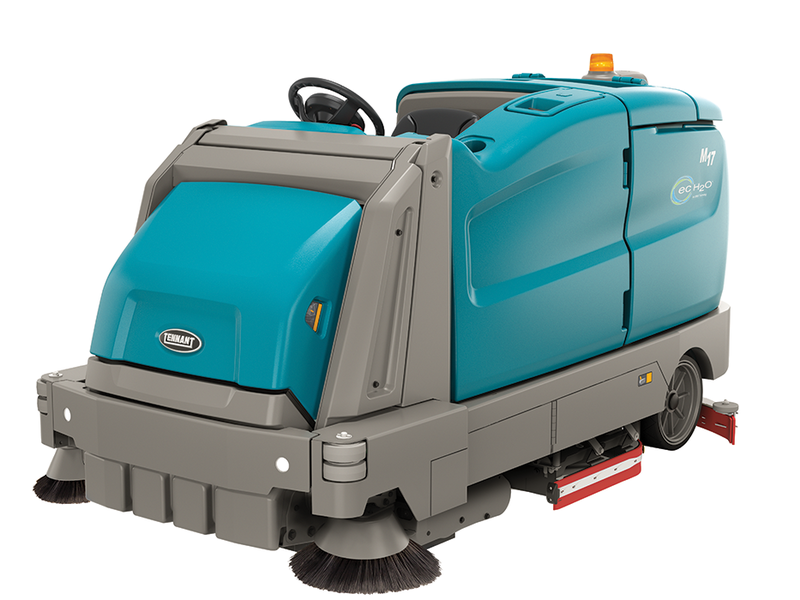 Enhance your facility’s image with effective sweeping and scrubbing capabilities that deliver consistent results in even the toughest environments with the Tennant M17. 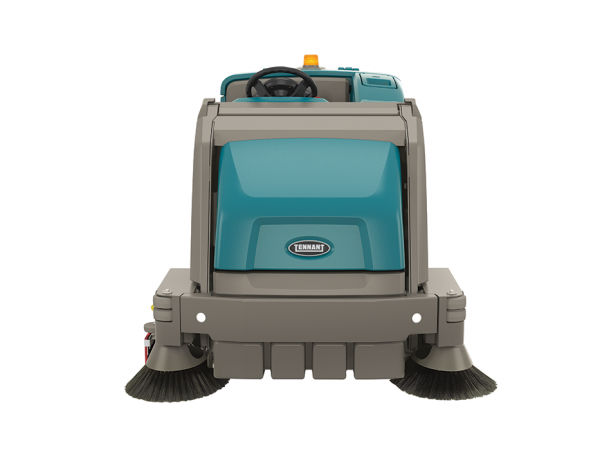 Debris capacity (light litter): 3.0 cu.ft.